In 1263, when the vault containing the body of St. Anthony was opened, thirty-two years after its original interment, the flesh had turned to dust, but the tongue was in a perfect state of preservation. For almost eight-hundred years it was kept mounted on a pin. But now it has been stolen. 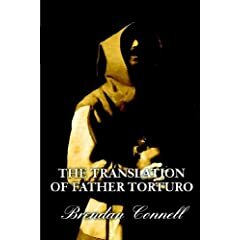 Padua, Milan, Venice, Florence, Rome. . . . Father Torturo, the neo-decadent anti-hero, moves through a modern Italy reeking of incense and filth. In an adventure stained with magic and garnished with cruelty, he travels on an ambitious journey to popedom, where the only laws that restrain him are those of his own artistic taste. All ombra di una colt de Nico Fidenco? Há uma disposição cd. Se você estiver em Portugal, deve ser fácil de encontrar através de um distribuidor italiano.